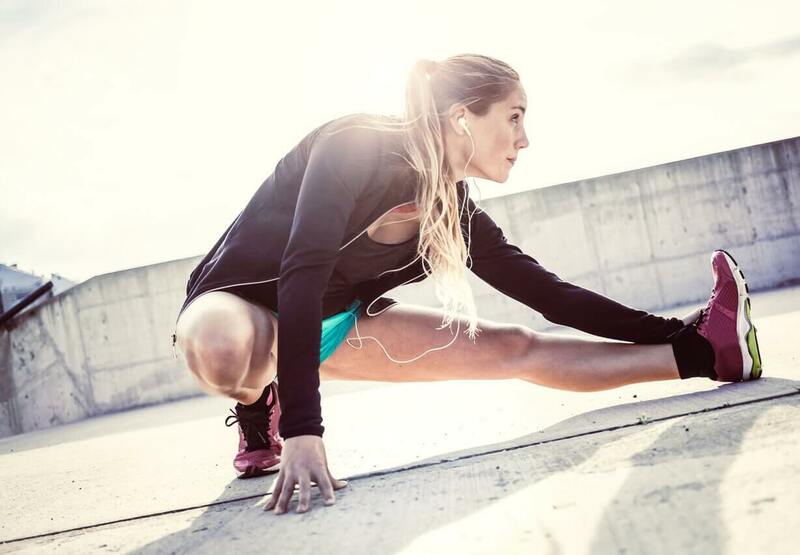 CORE STRENGTH AND STABILITY ARE VITAL FOR HUMAN MOVEMENT. OUR CORE IS THE BRIDGE BETWEEN THE UPPER AND LOWER BODY, AND WHEN THIS AREA IS WEAK IT DRASTICALLY IMPACTS THE FUNCTION OF THE KINETIC CHAIN, AS WELL AS OUR ABILITY TO DISTRIBUTE FORCE EQUALLY. BELOW IS AN EXAMPLE OF A THREE-EXERCISE PROGRESSION THAT AIMS TO BUILD CORE STABILITY, AS WELL AS AN ABILITY TO RESIST ROTATION. PERFECTING ONE MOVEMENT THEN PREPARES YOU FOR THE NEXT. Begin by getting into a stable push up position with the hands placed under the shoulders and the feet about shoulder width apart. 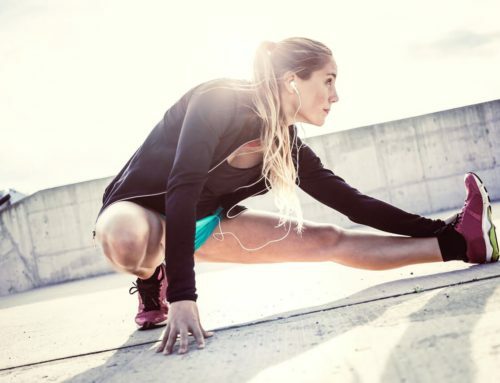 Keep your body as stable as possible, maintaining tension in the quads to keep the legs straight, keeping the core engaged, and actively pushing the hands into the ground. Slowly transition the weight onto one hand without rotating, and lift the opposite hand, placing it on the opposite shoulder. For those that score a 2 on the FMS, the next progression is a good way to further improve. 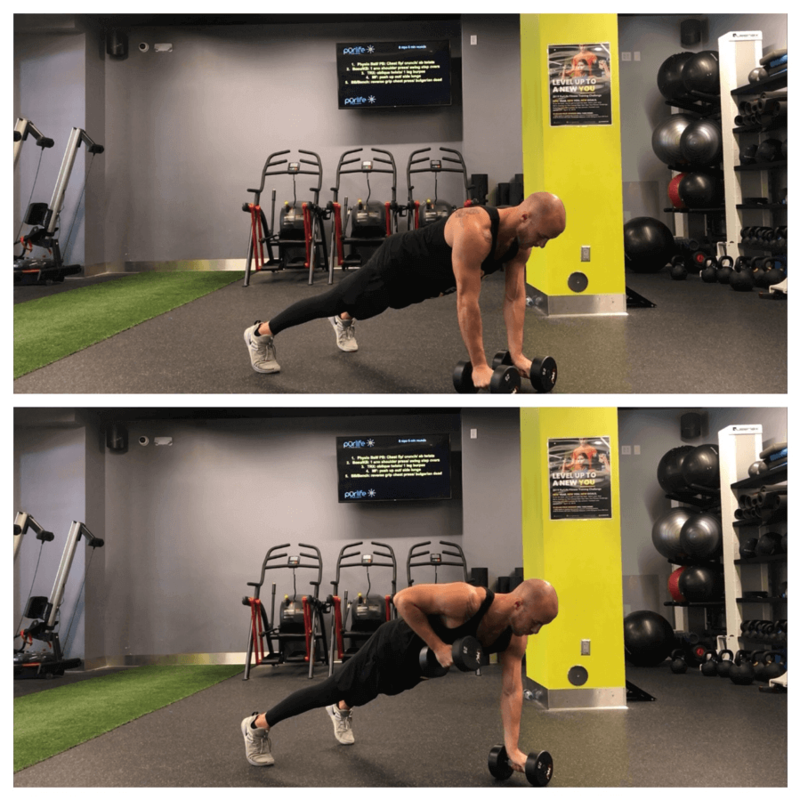 Begin in the same pushup position as the Shoulder Tap, the only difference is having your hands gripping two dumbbells instead of flat on the ground. Once again, keep tension in the legs, engage the core, and push the dumbbells into the ground. Slowly transition the weight to one hand, and maintain that stable position. 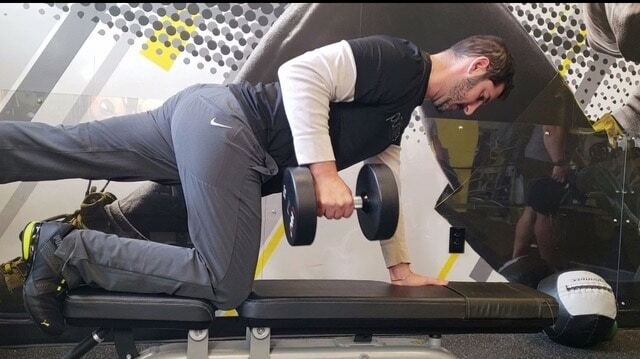 Slowly pick up the opposing dumbbell and drive the elbow vertically, resisting the urge to rotate. Return to the starting position and repeat on the opposing side. 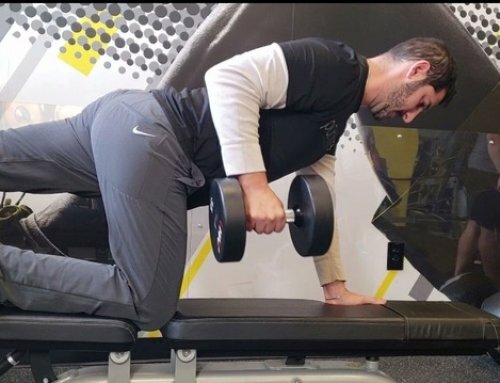 For those that score a 2 on the FMS, the next progression is a good way to increase the overall intensity of the Renegade Row. Once at the top of the row, extend at the elbow, and squeeze the tricep. EACH OF THESE EXERCISES REQUIRE FOCUS, SO BE SURE TO ACTIVELY THINK ABOUT WHAT MUSCLES ARE BEING ACTIVATED. BE SURE TO PERECT THE FIRST MOVEMENT BEFORE MOVING ON TO THE PROGRESSIONS, FOR IT WILL DRASTICALLY IMPACT THE INTENSITY OF THE MOVEMENT. IMPLEMENT THIS INTO YOUR TRAINING AND SEE IF YOU LIKE IT.